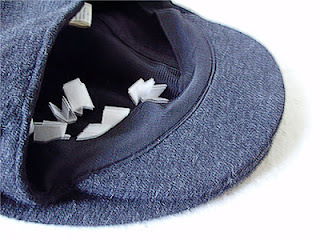 The Verbal Mosh: Winners Announced: New York Comic Con Contest 2012!!! Winners Announced: New York Comic Con Contest 2012!!! Thanks goes to everyone who entered this year's contest. 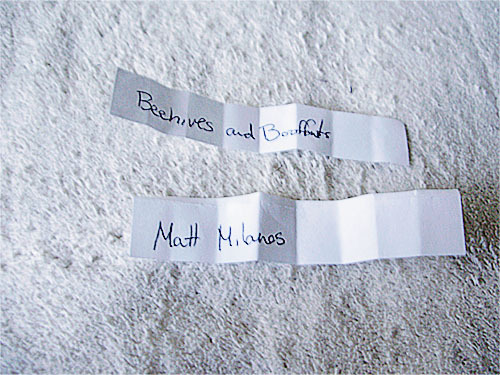 Congratulations, Beehives and Bouffants and Matt Milanes! You have a week to respond, otherwise we'll have to go through the random selection again. You can let us know if you are okay picking up the tickets from us at the convention. OR, if you want us to mail them to you, please send us your address. We will send you an email as soon as the tickets are ready to be shipped. Thanks to everyone, again. Don't forget to tune into our weekly podcast! We're holding our second ever New York Comic Con Contest! Just like last time, we will be selecting two winners, at random. The prize.... one 3-day pass to New York Comic-Con 2011 for each of the chosen winners. 1. Follow this blog and leave a comment on this post with who your favorite comic book character is. Superman? Spider-Man? Spawn? Fone Bone? Atom Eve? Wonder Woman? Odin? Nodin*? Blincible*? Etc, etc. 3. Like us on Facebook and share/comment on our contest link. 4. Send us an email to theverbalmosh (AT) gmail.com telling us why you'd love to go to NYCC. * These characters will only be familiar to anyone who keeps up with our podcast episodes/written reviews. Each option counts as its own entry, so the more you do, the higher your probability is of winning! The contest closes on Labor Day (September 3, 2012) so you have plenty of time to enter. 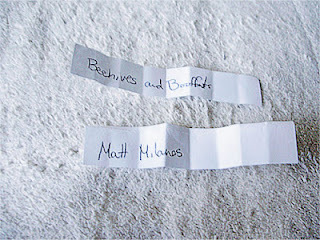 We will randomly select the winners on the day, so be sure to check back here for the results! If we are unable to get in contact with the winners, the random selection of winners will begin again. Although tempted to go with Blincible, my favorite character is far more interesting for anyone to admit: Booster Gold. One of the first series that I was introduced to in comics was Justice League, which eventually became JLI and JLE, by Giffen, DeMatteis, and Maguire. Booster Gold was humorous and overall a joke, but there was always this hidden, deeper sense of camaraderie. Then, during DC's 52, the writers came to show that there really was more to Booster than what people saw. Ultimately, this led into what has to be one of my favorite series of all-time: Booster Gold (2007). In those pages Geoff Johns and eventually Dan Jurgens presented a fully matured Booster who is revealed to be like the Doctor from Doctor Who, which was such a great concept for a time traveling super-hero. Sadly, after this series was handed back to Giffen and DeMatteis it became a horrible book because they dismissed all of the character development that had come before and turned him back into a fool (not cool, especially after the issue where we see him going back to see Ted Kord's funeral and having that great internal monologue about how just because super-heroes are viewed as gods doesn't mean they have to act like that). Anyway, sorry for the long answer, but I've been writing a paper and I can't stop the words. Hahaha.